Convinced both by the economic potential and the sentimental appeal of this former pearl of industry in Wallonia, SPECI set up the Cristal Park project on the magnificent Val Saint Lambert site, and has laid the foundations for a prestigious program capable of relaunching activities in the Meuse valley. SPECI is supervising the monitoring of property issues, building renovations and, designing the “master plan” for the site development and the preliminary surveys. It has also acquired holdings in all the companies trading on the site and is the sole operator for the development. The aim of the Cristal Park project, which began in 2004, is to restore the Val Saint Lambert site to its former stature. The Chateau and the Abbey, which were abandoned for more than 50 years, will become the mainstays of a site with a strong sense of history; they will stand guard in a 110 hectare park, whose innovative and dynamic development will give a new boost to the town of Seraing and neighbouring communities. Cristal Park is planned around a retail village, which will focus on household and leisure goods (60,000 m2 GLA), and a leisure centre with indoor ski-slope, a water park, restaurants, cafés and outdoor leisure activities (26,000 m2). There will be 4 residential developments (16, 24, 39 and 50 building plots), a Business Park of 12 office buildings (30,000 m2), a 120-room ***hotel and the new crystal glassworks. Renovation of the historically important buildings (Château du Val Saint Lambert, Abbaye du Val Saint Lambert, etc. ), which has already begun, is being handled by Immoval. This public-private partnership (PPP) brings together SPECI, the town of Seraing, the Région Wallonne and the Province of Liège. 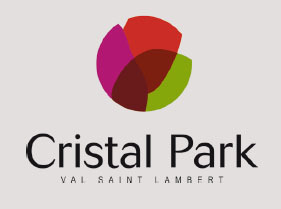 The Cristal Park real estate development is being carried out by the Val Saint Lambert Développement company, a private entity comprised of SPECI, Deximmo (real estate subsidiary of Dexia) and BPI (real estate subsidiary of the CFE group). The purpose of Cristal Park is to ensure the promotion of the retail village and the leisure centre, and to sell the land with planning permission for residential developments, the business park, the hotel and industrial developments. Once Cristal Park is completed, the company Valinvest, of which SPECI is major shareholder, will carry out the overall management of the site.